I know his glasses look boz-wonky it's the way he's holding them. 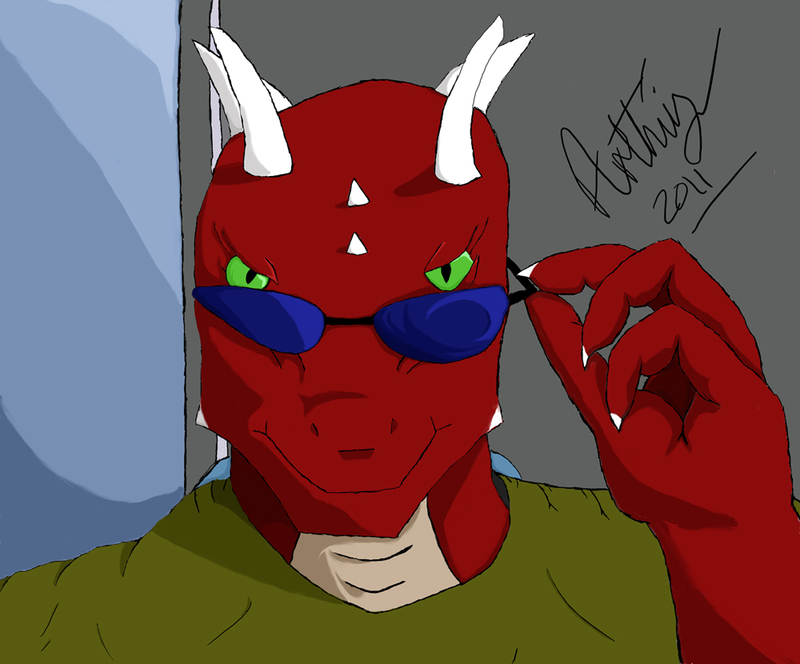 Anywhoo, here is Kyron again, looking devious at the camera. Hope you all like it, it's an angle i'd probably never do. Unless it turned out as well as this one did.